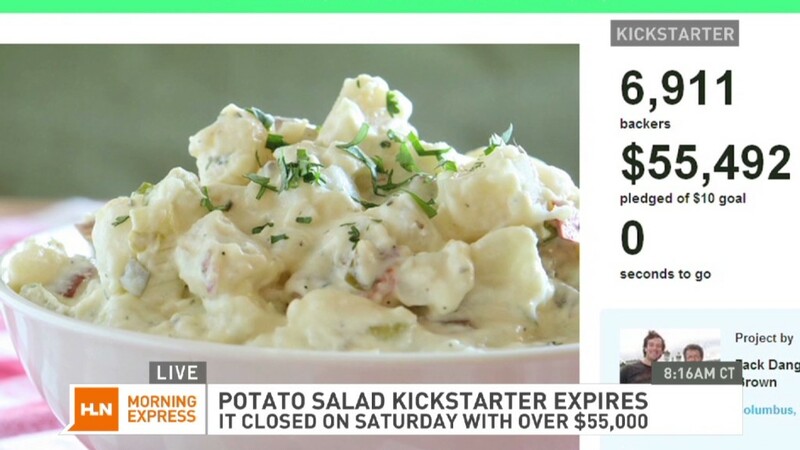 Potato salad crowd funder raises $55,000 and promised 3,330 people "a bite"
Congratulations, Internet. 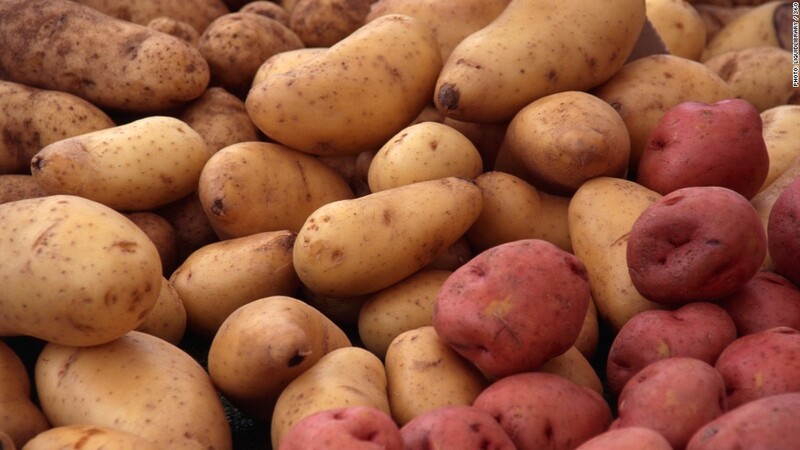 You've successfully raised $55,492 so an Ohio man can make potato salad for the first time. His crowdfunding effort on the website Kickstarter closed Saturday night. It became a social media phenomenon since it launched a month ago and the contributions came from nearly 7,000 people. Half of those gave less than $3 and 860 gave $35 or more, according to data posted by the site. It wasn't to sponsor the culinary creation of a famous -- or even skilled -- chef. When asked what type of potato salad he would be cooking up, the man behind the project, Zach Brown, admitted he didn't have a recipe in mind, nor any experience. "I'm not sure. It's my first one. Probably whatever is easiest," he wrote. His effort began with a $10 goal and quickly caught steam. In the first week, Brown raised $11,000. Along the way he set new benchmarks for success. If the effort raised $3,000, for example, he promised to "rent out a party hall and invite the whole internet to the potato salad party." Zach Brown said he doesn't know what type of potatoes he'll use, but will buy them at the "Kroger near my house." After exceeding his goal many times over, Brown pledged to do some good with "our little Internet joke about potato salad." In an op-ed for CNBC, he promised to donate "a significant portion" to an endowment fund at a non-profit to support hunger and homeless efforts. The non-profit, The Columbus Foundation, said the fund would "be sure there is a legacy left from the campaign." In the op-ed, Brown urged prospective crowd funders to "think about what you have to offer the world" and not approach the Internet as though it is "a bottomless pit of cash." Brown has a lengthy list of other commitments. In exchange for the money, crowd funders promise their contributors something in return -- like the hundreds of commemorative t-shirts, hats and cookbooks Brown offered. To all 6,911 donors, he committed to "say your name out loud while making the potato salad." And he owes 3,330 contributors a literal piece of his effort: "a bite of the potato salad."